High-temperature superconductivity has transformed the landscape of solid state science, leading to the discovery of new classes of materials, states of matter, and concepts. However, despite being over a quarter of a century since its discovery, there is still no single accepted theory to explain its origin. 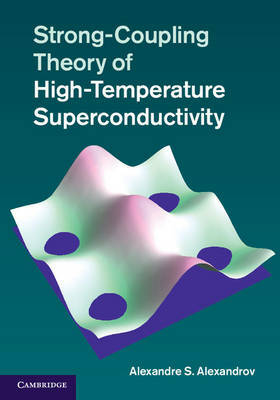 This book presents one approach, the strong-coupling or bipolaron theory, which proposes that high-temperature superconductivity originates from competing Coulomb and electron-phonon interactions. The author provides a thorough overview of the theory, describing numerous experimental observations, and giving detailed mathematical derivations of key theoretical findings at an accessible level. Applications of the theory to existing high-temperature superconductors are discussed, as well as possibilities of liquid superconductors and higher critical temperatures. Alternative theories are also examined to provide a balanced and informative perspective. This monograph will appeal to advanced researchers and academics in the fields of condensed matter physics and quantum-field theories.